100 years ago, the Great War changed the world. On a global scale, and more importantly a local one, the lives of girls were irrevocably changed. Yet their voices often go unheard, and this year, we’d like to correct that. 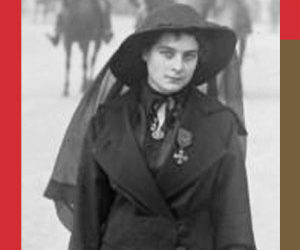 Who were the millions of women and girls whose lives were impacted by WWI? This exhibition continues our Heroines Quilt project, highlighting girls and women who made contributions to WWI. Theirs are stories of individuals and groups of girls on all sides of the home front and beyond—from family to fashion to music to work. These girls faced hardship and loss on a previously unimaginable scale. Many grew up to fight in the Second World War, greatly influenced by their childhood experiences. 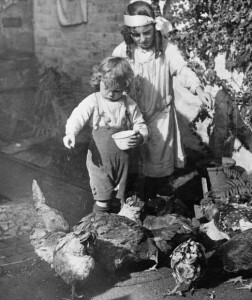 Young children feed chickens on a British farm during the World War One. Image via BBC. The First World War brought about great changes within girls’ home lives. Many faced the absence of father, uncles and older brothers. This absence was unbearable, but for those who lost all contact with their loved ones, like Gert Adams, permanent separation was made a reality. After six months of chasing news of her husband, Gert was notified of his death. Other changes happened when girls left home to join the war effort. Although less common in Western Europe and America, many girls did join the men on the front lines. This was especially true in Southeastern Europe, where women had recently fought in the Balkan Wars. 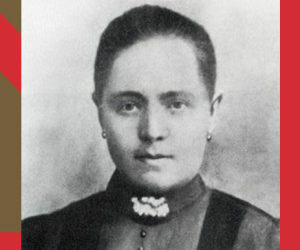 One such woman was Sofia Jovanović of Serbia, who was tasked to lead a battalion of men to capture an Austrian stronghold and cut communication lines. By the end of the war, 9 to 15 million people had died. And the casualties weren’t limited to men. 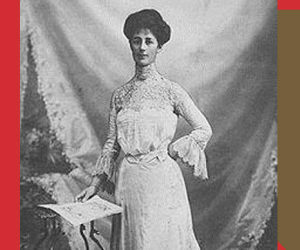 By 1916, Serbia alone had lost 40,000 women due to ill health and malnutrition. Elsewhere, like in India, girls who survived the war were placed into difficult situations when their fathers died, leaving their mothers penniless and their property – maybe even their lives – now controlled by their father’s family. Female munitions workers guide 6-inch howitzer shells being lowered to the floor at the Chilwell ammunition factory in Nottinghamshire, UK, July 1917, WikiCommons. Other absences were created by war work. Many young women left home for the first time to work in specialist compounds. The Canary girls of the munitions factory were situated on private compounds where they lived and worked with some significant side effects, like their skin turning yellow due to sulphur exposure, with deaths frequently happening around the factories. There was also the Land Army, where girls and women from all walks of life helped to work the land. However, the majority of girls did stay at home or worked near enough to return home at night. 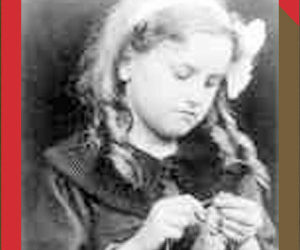 Many women took part in voluntary projects, like knitting, particularly in Britain where Queen Mary helped to promote the idea that females should be “sitting and knitting” items such as blankets, socks, or gloves for soldiers and refugees. 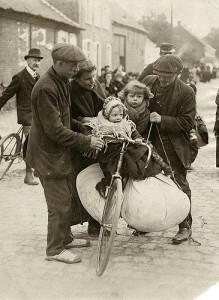 Man holding a heavy loaded bicycle in balance, two children and a large bundle of clothing on it, a woman and and other man helping. The children warmly dressed. Refugees from Antwerp. Belgium, 1914, Nationaal Archief. The standard of living for families was largely affected by their location. The majority of the fighting took place on the European continent, in places like France, Belgium, and Germany. Those living on the front lines faced food shortages and violence every day. In Germany, school children suffered malnutrition, anaemia, and tuberculosis. In France, an area the size of Wales was destroyed through trench warfare and 40,000 civilians died. Many families had to move out of their homes, and in some cases, entire towns were destroyed. On the other hand, people who lived away from the fighting, like in England, had a much higher standard of living. British school children’s cleanliness, nutrition, and health increased despite the war. Children living outside of conflict zones were encouraged to forego sugar and collect excess wheat to be sent to the soldiers and refugees. But this wasn’t the case in all countries. In India, high taxation to fund war efforts left many girls and their families struggling. The disruption of trade caused prices to rise, and many were left deeply in debt just to survive. 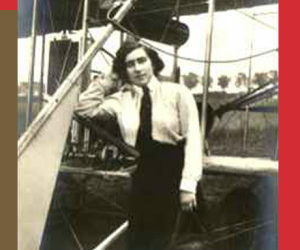 The Women’s Royal Air Force during the First World War. 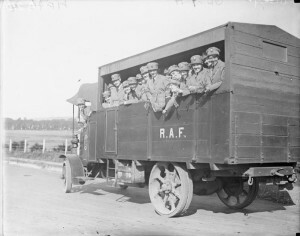 Members of the Women’s Royal Air Force (WRAF) on board an RAF lorry circa 1918, WikiCommons. War also had its own effect on family life. Rising numbers of fathers signed up and shipped out to the trenches in Belgium, France and Germany. Governments involved in the war used all the methods at their disposal to drum up national support for the war effort. In Canada, many young girls helped to make bandages, collect books and newspaper, and baked goods for the soldiers. 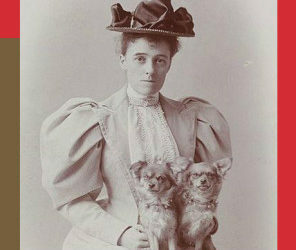 In Australia, women volunteered with organizations like the Australian Red Cross and Australian Women’s National League. 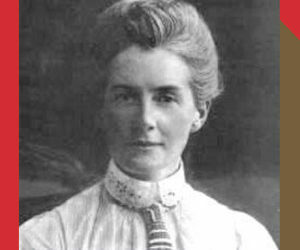 And in New Zealand, the Women’s Royal Air Force was created. Despite the distance, the home front still supported their soldiers with as much ferocity as if it were on their own front step. 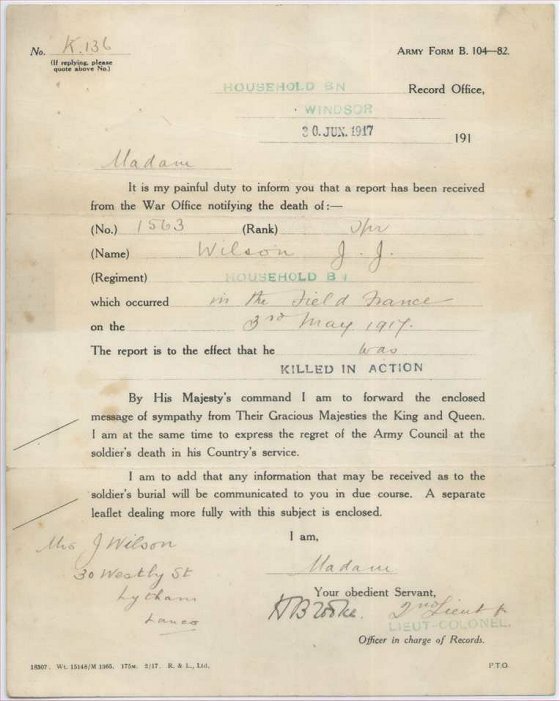 The next-of-kin of a soldier was usually informed of his death by a letter, Army form B104-82. The sense of loss and deprivation due to rationing, death and financial hardship were similar for children around the world. Older siblings, mainly older sisters, were tasked with looking after younger siblings if their mother had to go out to work. Many would continue to do so, or have to find work themselves, when fathers or brothers died in the war. This forced many to quit school early and to take on adult responsibilities while still children themselves. By the end of the war, the world was faced with a generation of under-educated children. Dickinson children, dressed up in WW1 army, navy and nursing costumes, 10 Feb 1916, WikiCommons. 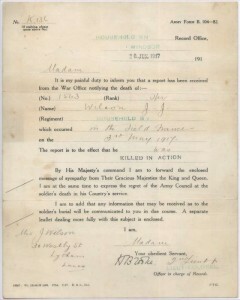 All members of society were expected to contribute to the war effort. However, this could be a fun time spent making things or working together with friends to raise money. The children of Auckland and Wellington in New Zealand challenged each other to build a trail of copper coins, following the main truck line between the two cities and meeting each other in the middle, which provided lots of money for troops. Girls also contributed to the war effort by knitting and sewing socks and scarves to keep troops warm. They sent letters to soldiers along with clothes, food and other small items. Yet the war also impacted other ways of having fun, which served as constant reminders that the world was at war. Wartime propaganda was not limited to posters. Popular toys reflected the expected activities of a nation at war. 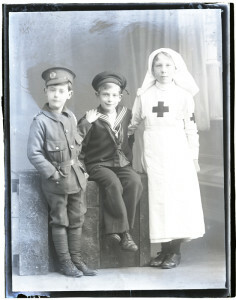 Dolls were dressed as auxiliary nurses, working on the front, while guns and helmets let children act out wartime roles. 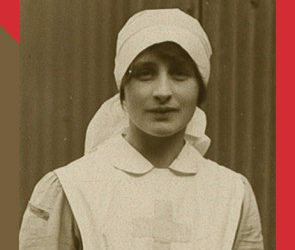 Children used their imaginations to play soldier or nurse, sometimes with their own costumes. 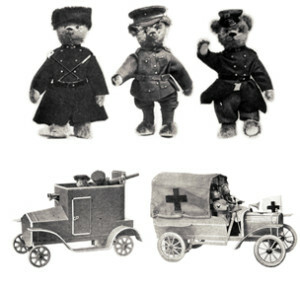 While pre-war children dreamed of owning a German-made Steiff bear, the war made this impossible. British toy companies rushed to create patriotic British bears to satisfy the demand. Some of their favourite, but foreign-made, toys disappeared from shelves, replaced by items made locally. These were not always as successful as the toys they replaced, but both patriotism and the disruption of trade necessitated national toy production. As the war progressed, many of the factories that produced toys in Britain were claimed by the Ministry of Defence and started to make uniforms, bombs, and bullets. The availability of new toys during the war decreased and children increasingly relied upon their imaginations and what they had already at home. Hurray! A war picture-book, 1915, Herbert Rikli, Staatsbibliothek zu Berlin. During WWI, publishers made their own contribution to the war effort. A book entitled Hurray! 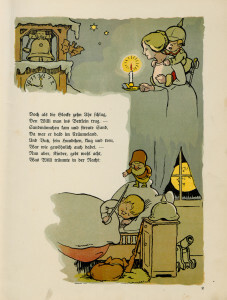 A War Picture-Book was published and widely read in Germany, explaining the war and encouraging its young readers to actively support the war effort. On the other side of the world, the New Zealand School Journal, first published in May 1907, offered readers feature sections on Gallipoli and the Western Front, in addition to reports on children’s fundraising efforts, patriotic poems and songs to sing together, moral fables and tales of heroism. Children were encouraged to write poems, letters and draw pictures for those stationed in on the front lines. By reading letters written by children, we see that they had a strong grasp on what was going on in Europe and beyond. They were in touch with world events as loved ones often discussed these matters openly in front of children. And they say he’ll get reward. And it’s me now we’ve lost Dad. Dad they tell me is a soldier. And I’m sure he’s going right. Girl Guides during WWI, via BBC. 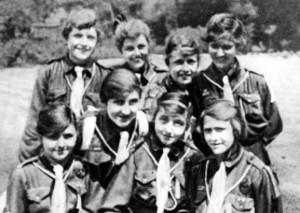 Founded just four years before the war, the Girl Guides were popular among girls in the UK and US. During the war, members of the Guides fulfilled important wartime tasks, such as carrying important messages and helping deliver milk. Guide activities started to include first aid and learning to send messages using small flags. Guides would also raise donations for the war effort, coordinating the sending of care packages and organising their own knitting and sewing sessions. They may have even been used by the British Security Service to pass secret messages during wartime, inspiring girls like 14-year-old Audrey Hepburn, who acted as a messenger for the Belgian resistance during World War II. Sport became an important part of the school day, with government ministers wanting to prepare young people for active service. Schools allocated extra time for sports. Children spent some of their spare time playing football, hockey and other sports on parks and common land. Due to the majority of fit young men being on the front, a large gap was created in sport and entertainment. 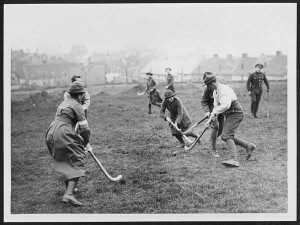 Young female munitions workers were encouraged to play to keep their morale up, and quickly were used to keep the general population’s morale up by playing public sports. The greatest goal scorer England had ever seen, Lily Par, began playing during WWI — and would score over 1,000 goals during her 31-year career. Sadly, in 1921, many football grounds banned women from playing. School life continued as normal as possible. Schools adopted a nationalistic, patriotic focus, with the expectation of all to support the nation’s troops included in lessons. One commonly held belief during World War I was that if children undertook physical exercise this would lead to better school performance. Particularly, in New Zealand schools, there was a strong emphasis on outdoor life and sports. Children were taught out of doors as much as possible, with running, swimming and athletics a key part of their education. 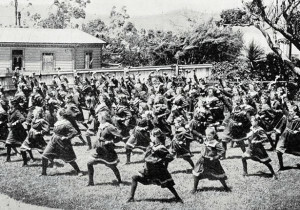 During the war girls were taught sport at school. Many had a lesson called “drill”, the equivalent of today’s “Physical Education” lesson. These mainly consisted of marching on the spot, stretching and swinging large wooden clubs around as a strengthening exercise. Fashion reflected the changing roles of women in this period and the decades after the war. Women’s fashion changed to reflect their roles in the Home Front, in the Munitions Factories, or as nurses on the Front Lines. Before the war, women were expected to be the ‘Angel in the House’. 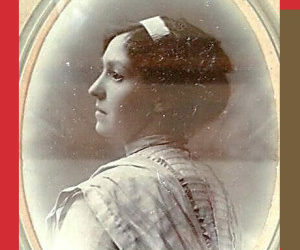 This term extends from Coventry Patmore’s poem of the same name, which described the ideal woman in terms of her virtuousness, obedience and patience. Naturally, this ideal of womanhood transferred itself to the very clothes and underwear that women wore: tight-laced corsets and masses of petticoats. 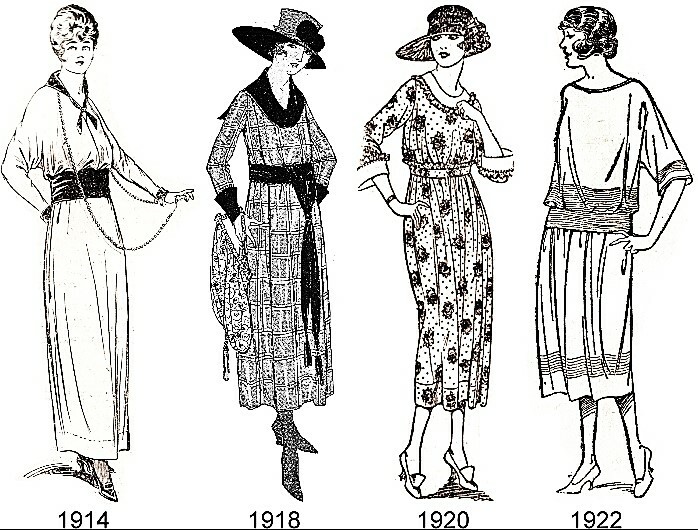 Changing female silhouette 1914 to 1922. 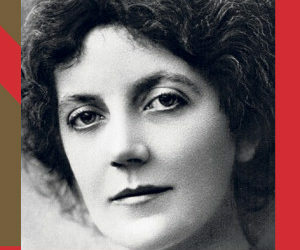 A ‘New Woman’ emerged from the doldrums of Edwardian morals. 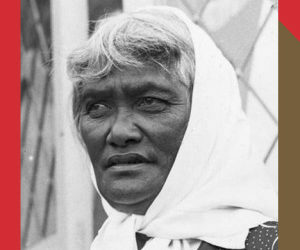 She was well educated, independent and somewhat uninterested in the traditional pursuit of marriage and motherhood. The echoes of this ‘New Woman’ channelled throughout the Suffragette movements across the world. The ‘New Woman’ finally found a resting place in the roles played by women and fashion brought on by World War I. This ushered in shorter skirts and relaxed waistlines of women’s clothing. By 1915, hemlines were ten inches from the floor, something unheard of before the war. 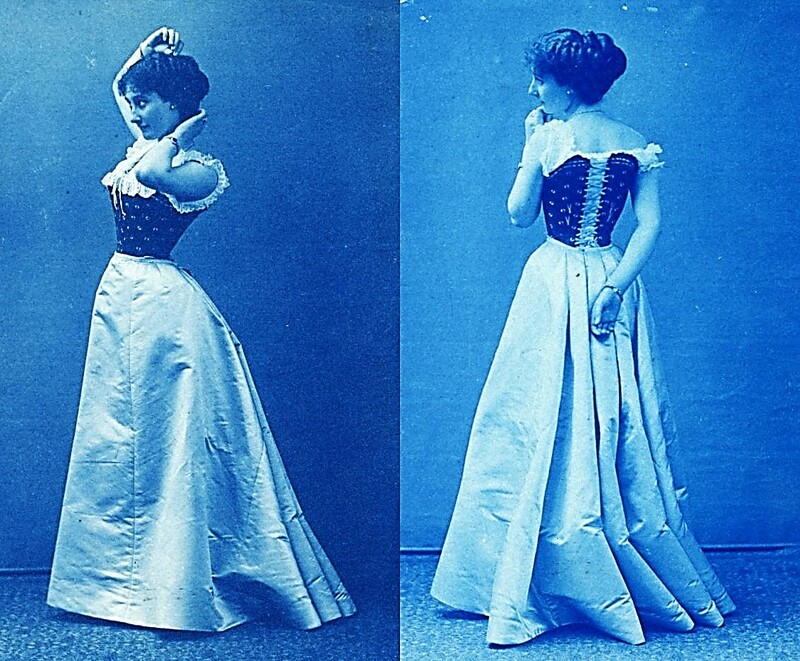 Photograph of a lady wearing a corset and petticoat © Edward Linley Sambourne Archives. In 1915, more and more women were being called to work in the munitions factories, Women’s Royal Naval Service (W.R.N.S. ), Land Army, etc. The uniforms they wore reflected the military dress of the men at the front, as women were expected to be as smart looking as the average soldier or sailor. 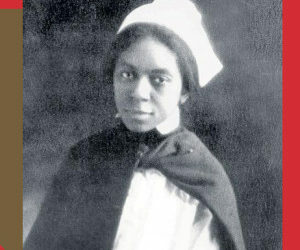 In Figure 3, we can see an example of an American female uniform from 1917, while Figure 4 displays coats influenced by military fashion. The coats on the women borrow the large pockets and military detailing that is present in the uniforms. Uniform of an American army contract surgeon c.1917-1918. Digital print, Smithsonian. Whether the majority of women adopted ‘new’ fashion styles is still debated. Yet the appearance of one fashion designer would forever change women’s fashion. 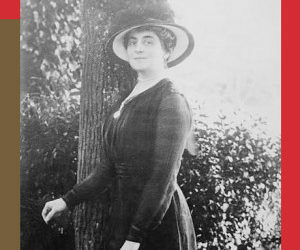 Coco Chanel produced innovative fashions throughout the war period. Chanel used surplus jersey fabric to produce jersey jumpers, trousers, and dresses that were fashionable and practical. 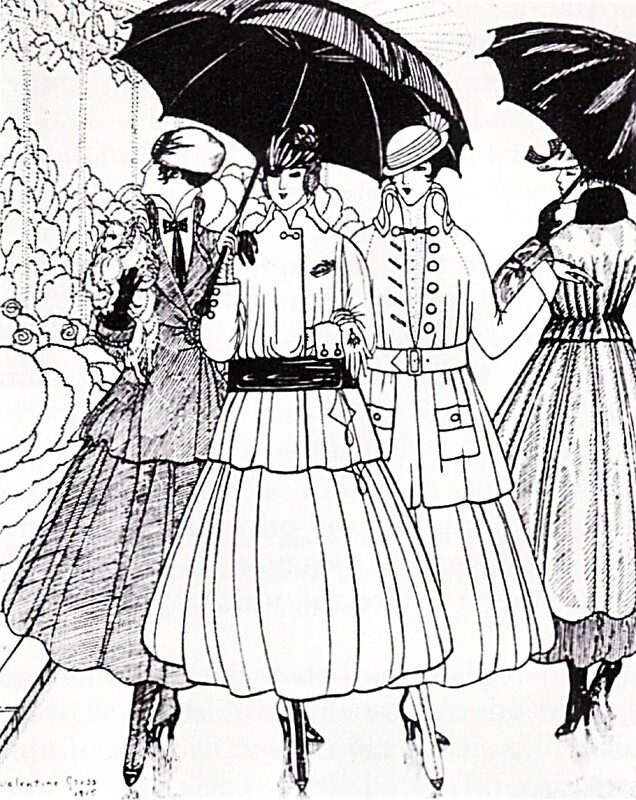 Illustration of French fashion c.1915. The reality of life for most women was rationing, making do, and mending through hand or machine sewing. The home sewing industry was supported by thousands of companies that made paper patterns reflecting the latest fashion trends. As Figure 5 shows, the latest styles in fashion were available to women on a reduced income. Paper patterns were also used to encourage women not involved in war work to make uniforms for nurses and medical staff. Patterns approved by the Red Cross were used by women who became nurses and could not afford a tailor made one. Paper pattern for a military inspired coat, Colour photograph of original pattern, McCall’s Archive 2015. Women were also encouraged to make ‘comforts’ for the troops serving on the frontlines. In 1914 and 1915, there was an explosion of ‘patriotic knitting and sewing’ done on such a feverish level that charitable societies were inundated with knitted garments. This changed when women were called into the munitions factories, military hospitals, the armed forces to free fighting men for the front lines. With more and more women entering the wartime workforce, a large majority of these women’s focus changed from the domestic and private spheres to the workplace and its very public sphere. Young girls took up the responsibility of producing ‘comforts’ for those on the front lines – while also heading the households so their mothers could work. 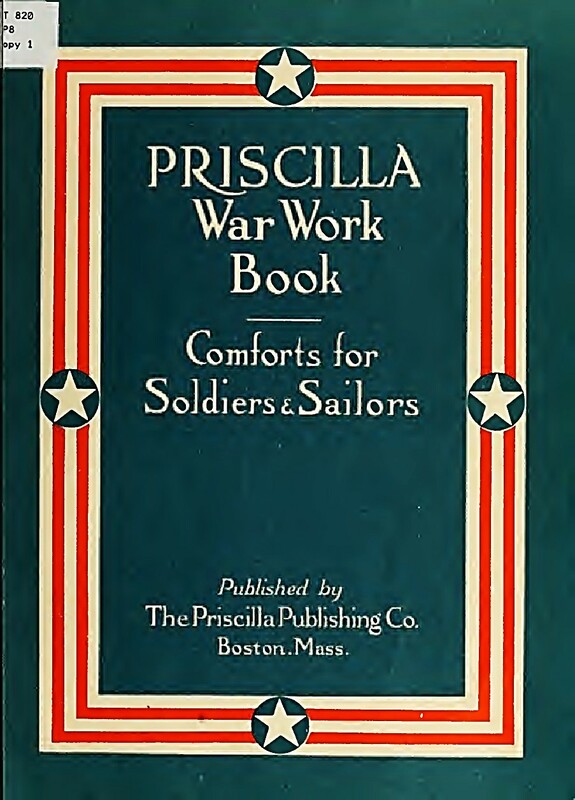 Groups of nurses, young girls and Prisoners of War knitting comforts for Front Line Troops, Priscilla Publishing Book. 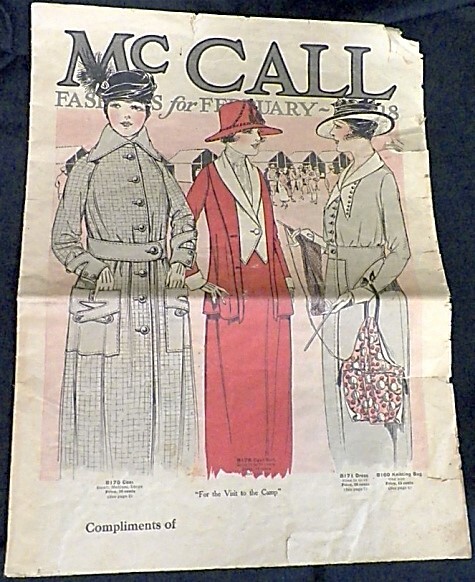 Fashion throughout the Great War changed at a rapid pace. It was seen as a patriotic duty for women to look their best at all times to counteract the loss of life and sadness that came with war. Fashion became a propaganda tool for governments across Europe to persuade women to join the armed forces by using glamourous uniforms. By the end of the war in 1918, fashion was unrecognizable to what it had been at the start of the war just four years prior. 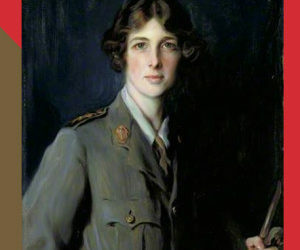 The impact of Great War fashion was to be felt throughout the 1920s, as fashion began to reflect the ever-evolving and more independent roles of women in the 20th century. Music can make us happy or sad, calm and soothe us, or even recall a specific moment with our loved ones. Even though music wasn’t as accessible 100 years ago as it is today, it still had a great effect on people. And it was very useful during wartime. Music was used for pleasure, for morale and as a propaganda tool before conscription was introduced in Britain. Classical composers were the rock stars at the turn of the nineteenth century. But to be able to listen to classical music with a full orchestra was reserved to those who could afford it. Even a simple gramophone was extremely expensive, so not everyone was able to listen to records in the comfort of their own homes. And radios as we know them were not yet invented. Those without played homemade instruments or sang to their heart’s content. American enrolled ‘Yomanettes’ during ‘Happy Hour’ at US Navy Yard, Mare Island, California in c.1918. WikiCommons. The rock stars of the time were composers such as Ralph Vaughan Williams and Ivor Gurney who were inspired by the English countryside and folk music. However, these gentlemen joined up to fight for the war effort, though some would continue composing. Unfortunately, it was still rare to find a woman in an orchestra at that time. 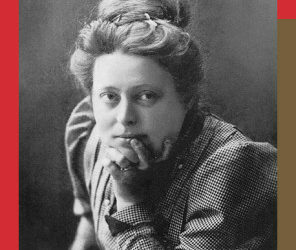 In fact, during 1916, only 8 women were included in The Hallé’s records show, and by 1920, the orchestra was back to being fully dominated by men. With limited modes of entertainment, many households relied on musical instruments to pass the time, especially in the evening. 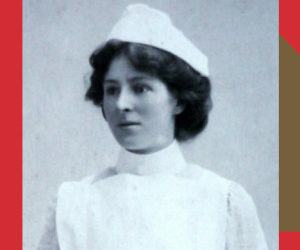 Women used music in their new roles, with nurses providing musical instruments for their injured charges. 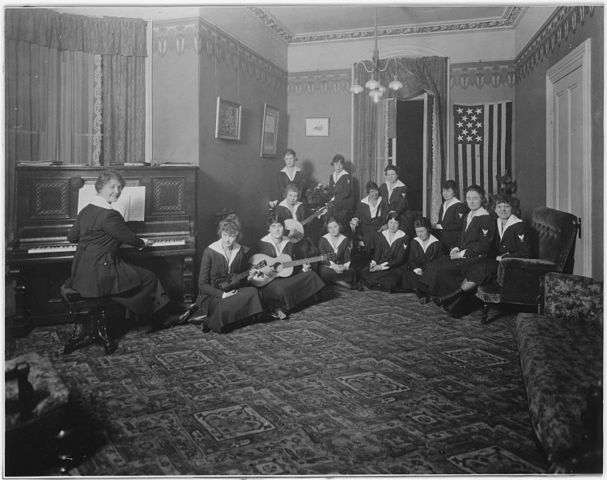 For women who had successfully enrolled within the armed services, music offered a way to boost morale, bring a division together and wile away the long evening hours. Music played a very important role in war to raise morale. However, this wasn’t something that those in the war office were behind at first. Within Girl Museum’s Heroine Quilt, there is a woman who fought policies to prove that music was and should be used to help men on The Front. With pure grit and determination, she arranged entertainment road shows for the troops to lift their spirits. Can you find her? During the First World War, music was more upbeat than later wars, with songs like ‘Pack up Your Troubles in Your Old Kitbag’ and ‘It’s a Long Way to Tipperary’. Some classical composers felt passionately about writing music that would embrace and encompass feelings of mourning their loved ones, commemorating their lives, to celebrating when they came home, and to keep their spirits high when they were away. ‘Keep the Home Fires Burning’ was aimed at all the families left on the Home Front. ‘Pack up Your Troubles in Your Kitbag’ gained huge popularity because of how it was easily accessible via sheet music that could be played on any piano. Women were most effective with music as propaganda in music halls. Theatre halls were accessible for most people, unlike classical music concerts, so they were popular entertainment venues. In London alone, there were more than 300 musical theatres. These ranged from posh halls in the West End to smaller places in the East End. Music halls also doubled up as places where men of all fighting ages signed up to join the war effort. 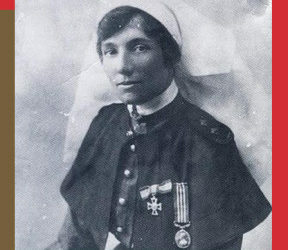 Vesta Tilley was nicknamed ‘Britain’s Greatest Recruitment Sergeant’. Here, a young woman named Kitty Eckersley recalls the moment that her husband was recruited by Vesta. Vesta was draped in a Union Jack, singing “We Don’t Want to Lose (But We Think You Ought To Go)” amidst the audience, and by the end of the song there were so many men following her that there wasn’t enough room on the stage for all of them. It’s hard to imagine the true power of this popular recruitment tool, which appealed to their patriotism. There was also a darker side to this; men who refused were sometimes given a white feather, which was a sign of cowardice. The clip at left, from the film “Oh! What a Lovely War”, gives us an image of what it could have been like. Before World War I, most women across the world did not have the vote; they were paid less than men and certain jobs were considered inappropriate for them. In the UK, the vast majority of working class women worked as domestic servants or in factories, offices and shops. Women in less industrialized countries, such as Russia, France and Germany, predominantly worked the land. Many were not expected to engage in paid work after marriage. However, the war required women to take on a variety of jobs. There was initial resistance for hiring women, but conscription made the need for women workers urgent, thus changing the workforce forever. In Britain, 2 million women replaced men in their jobs during the war. In Russia, the percentage of women in industry increased from 26% to 43%, and a million women joined the workforce in Austria. In France, the percentage of women in the workforce increased by 20%. In contrast, in Germany, fewer women joined the workforce during the war. A large part of this was because trade unions were afraid women would undercut men’s jobs. These unions were partly responsible for forcing the German Government to turn away from moving women into work. Many female labourers were volunteers, leading to a smaller proportion of women entering employment in comparison to other countries. 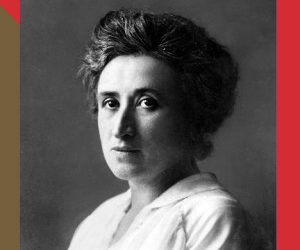 It has been suggested that not encouraging women into work played a contributing factor to Germany’s loss in the war. Click through the tabs below to learn about the different roles women played in the workforce during World War I. These farmerettes are harvesting a peach crop on a farm near Leesburg, VA, in August 1917. The farmerettes are wearing the regulation bloomers and smocks and are ready to march into the Virginia peach orchard. Photo courtesy of National Archives and Records Administration. The disruption of trade meant that one of the most pressing issues was the provision of food. At this time, food was produced by national farmers and involved little of the processing that we expect today. In France, Germany and Russia, many women already worked on the land. With the loss of male workers, their workload increased dramatically. As the war progressed, farm animals were requisitioned by the army, leaving women labourers to plough the field by hand. Many countries suffered food shortages and famine. In the UK, the majority of women worked in towns and cities, so women and girls were asked to volunteer to work the land. The Government invited women to join the Women’s Land Army, an organisation that offered cheap female labour to farmers. From 1914 to 1918, the number of women working as farm labourers doubled. The 260,000 volunteers that made up the WLA were given a uniform and ordered to work as hard as possible in manual agricultural labour. Women in the U.S. also responded to government posters to support the troops through food production. For some, agricultural work would have been a very new and difficult experience. But it also offered young women an opportunity to meet new people and, perhaps for the first time, experience independence. 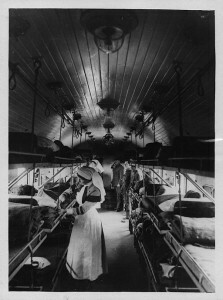 Interior of a ward on a British Ambulance Train in France, via the National Library of Scotland. 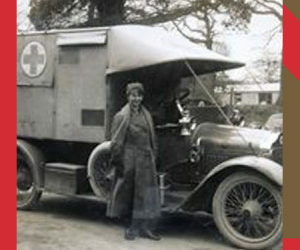 The work of female doctors, nurses, orderlies and ambulance drivers was essential to the war. 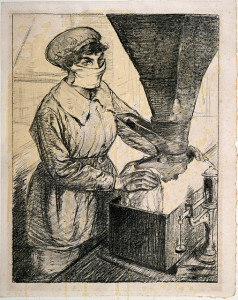 Military nursing expanded across many nations and saw a wider participation by female doctors. 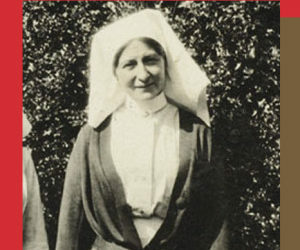 At the start of the war, the British army was resolutely opposed to all female military nurses. Early volunteers from Britain were obliged to serve the French and the Belgian forces instead. 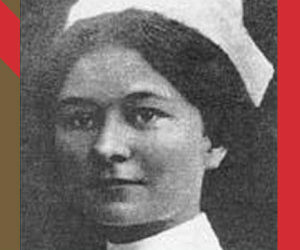 Until 1916 many of the nurses were unpaid, so they mostly came from wealthier families who could support them. These were powerful women who became quickly versed in the management of military hospitals. Women as far afield as Australia and New Zealand volunteered to go to anywhere that needed them, including makeshift hospitals on the front. 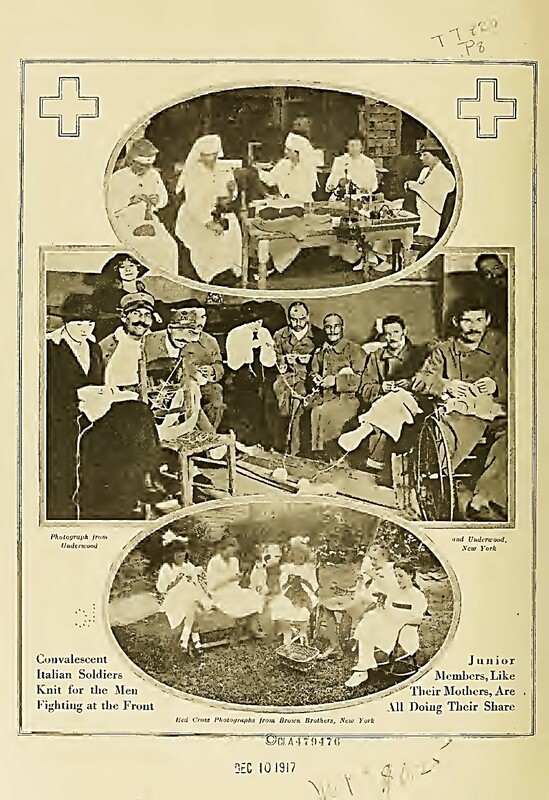 In Southeastern Europe, many women served as medical staff, including Queen Marie of Romania, who trained as a nurse and set up various hospitals within Romania. Due to their close proximity to the war, nurses and doctors were injured and killed while tending to the wounded and while travelling to and from sites. 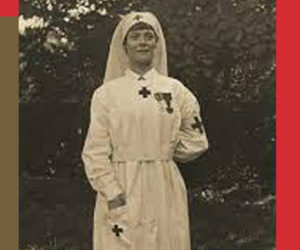 In Britain, 45 nurses were killed and over 200 were decorated for their services to the nation. 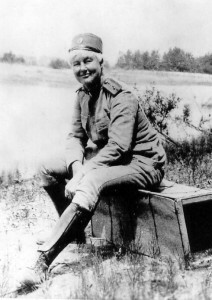 Flora Sandes in uniform, about 1918. Via Wikimedia Commons. Women and girls joined the service as well. Over 100,000 British women became a part of the armed forces. From 1917, the British and American armed forces allowed women to enlist, but only men were officially allowed to go into battle. Women were recruited to free up men occupying non-combat roles. The British army established the Women’s Royal Navy Service (WRNS) and the Women’s Royal Air Force (WRAF), who carried out support duties. 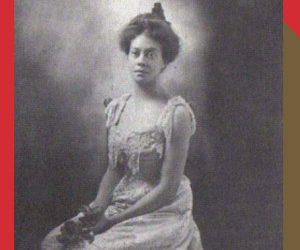 Many of the women who enlisted in the U.S. undertook clerical work, and while French women were not given military status, they too contributed to military duties. 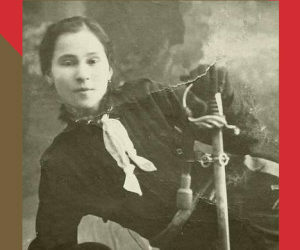 After the 1917 Russian Revolution, Maria Botchkareva, a 25-year-old peasant woman, formed a battalion of women. 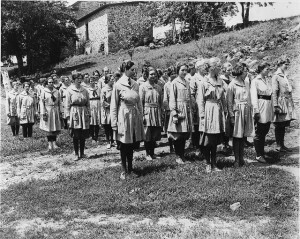 Over 2,000 women volunteered to form the ‘Battalion of Death’, fighting side-by-side with Russian men. Bochkareva was wounded and decorated several times. 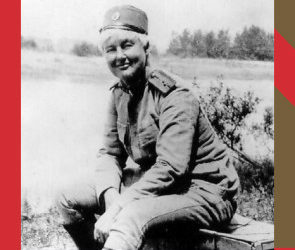 In Serbia, Flora Sandes joined the Serbian army as a soldier in 1916. 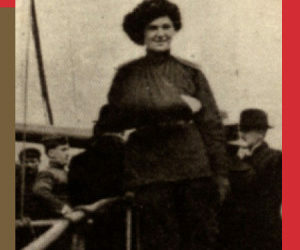 She was initially an ambulance driver on the Eastern Front. 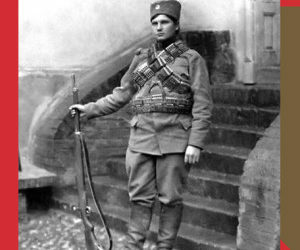 When she enlisted with the Serbians, she was allowed to serve on the front lines and, by 1916, was promoted to Sergeant Major. After the war, she stayed in the army and became a Major. 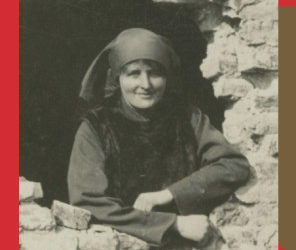 Women were also used as spies, particularly in countries that were occupied by military forces. Nurses and other women working on the front were also inadvertently involved in military operations, hiding troops during invasions and lying about information that they had gathered during their time with the soldiers. Tram conductress – a ‘Clippie’. Photo uploaded by Paul Townsen on Flickr. 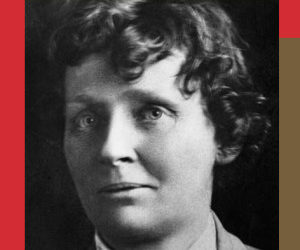 The first British women to serve as police officers occurred during the World War I. These female officers patrolled public areas, such as railway stations, streets, parks and public houses. One of their main responsibilities was to maintain discipline and monitor the behaviour of women around factories and hostels. They carried out inspections of women who worked in factories to ensure that they didn’t take anything into the factories which had the potential to cause explosions. 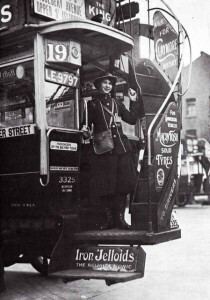 Women also began to work in the transport industry and were given positions such as bus conductress, ticket collector, porter, carriage cleaner or bus driver. 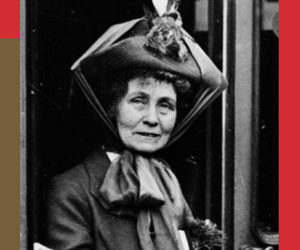 The number of women working on the railways increased from 9,000 to 50,000 during the war. After the war, many of these opportunities became closed to women as servicemen returned to their jobs. This was a common story for many professions after the end of the war. ‘On munitions – dangerous work: packing TNT’, Archibald Standish-Hartrick, 1917. Photo via Archives New Zealand. 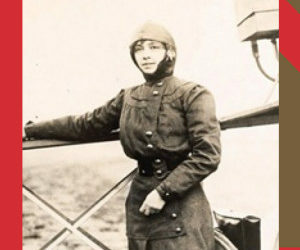 WWI was a defining factor for the professional and social status of women engineers. Increasing numbers of women were working in munition factories as well as aeronautical and automobile engineering. 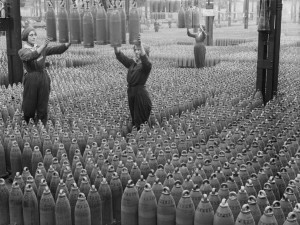 After 1915, a large number of women began to work in munitions manufacturing as the need for shells increased. By 1918, almost one million women were employed in some aspect of munitions work. However, factory work was monotonous – women often found themselves doing jobs that had been simplified into a series of unskilled tasks. Working in munitions was relatively well paid, especially for women who had previously worked in domestic service. However, women workers in munitions factories were still paid as little as half the wages of men doing similar jobs. Working in munitions factories often meant long hours and unpleasant or dangerous work. There were several devastating explosions in which women workers were killed. There was also little work/life balance. In order to keep up with the pace of demand from the front line, twelve-hour shifts were common and some women would work thirteen days in a row. However, the government did not provide a nursery provision for women working in other fields of work: this meant that they women had to rely on friends and family to help with their childcare. 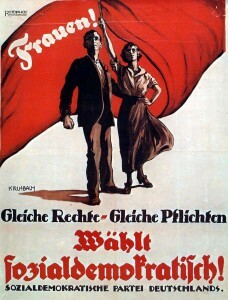 Poster of the Social Democratic Party (SPD) for the elections to the Weimar National Assembly in 1919. After the war, the clock was turned back and women were dismissed from their jobs, instead expected to care for their injured male relatives or husbands. The war had upset traditional gender expectations. The reality of post-war society was more complex, with relatively few women accepting notions of social, sexual or political liberation. Old ways began to reassert themselves as newly unemployed women were pressured into becoming domestic servants or to marrying. However, there were some positive outcomes. During the war, many women developed new skills, self-confidence and contacts as a result of their jobs. The status of women fundamentally changed and would continue to do so throughout the rest of the 20th century. Women in many countries had been fighting for the right to vote before the start of the war. By the war’s end, only Finland, Norway, New Zealand, parts of Australia and a couple of American states had granted female suffrage. Between 1917 and 1920, women gained the vote in Austria, Belgium, Britain, Czechoslovakia, Germany, Poland, Russia, Scandinavia, Sweden and the United States. World War I changed patterns of work for women, broken down barriers between the home and the world outside, disrupted the class system, and offered women from across the globe new opportunities and experiences. How did girls’ experiences of war change between WWI and WWII? Below are the stories of incredible girls and women whose lives were forever changed by World War I. Click their images to discover their stories. Download our Girls in WWI Educational Guide for fun activities related to World War I. Designed for classroom or home use, this guide is aligned to US educational standards (which can also be adapted for use in the UK). This year’s quilt is dedicated to all girls and women who have lived and died through wars not of their own making or design, but who contributed, participated and grieved as a result. Special thanks to our curatorial and education team—Sarah Raine, Tiffany Rhoades, Rachel Sayers, Charleigh Powell, Mary Horrell, Emma Brynning, Lucy Palmer and Hillary Hanel—for such a wonderful job honoring these girls’ and women’s lives. Here are some of the sources we used to created this WWI Quilt. If you are interested in knowing more, have a dig through some of these very informative books and sites. Bawtree, Viola. ‘Episodes of the Great War 1916 From the Diaries of Viola Bawtree’, unpublished diary, 23/02/16-5/03/16. Ref.no: IWM DD 91/5/1. Winners and Losers: Women’s Symbolic Rile in the War Story’. In Evidence, history and the Great War: historians and the impact of 1914-18 by G. Braybon. Children’s Experiences of World War One by Stacey Gillis & Emma Short. Nice Girls and Rude Girls: Women workers in World War I by D. Thom. Adlington, Lucy. 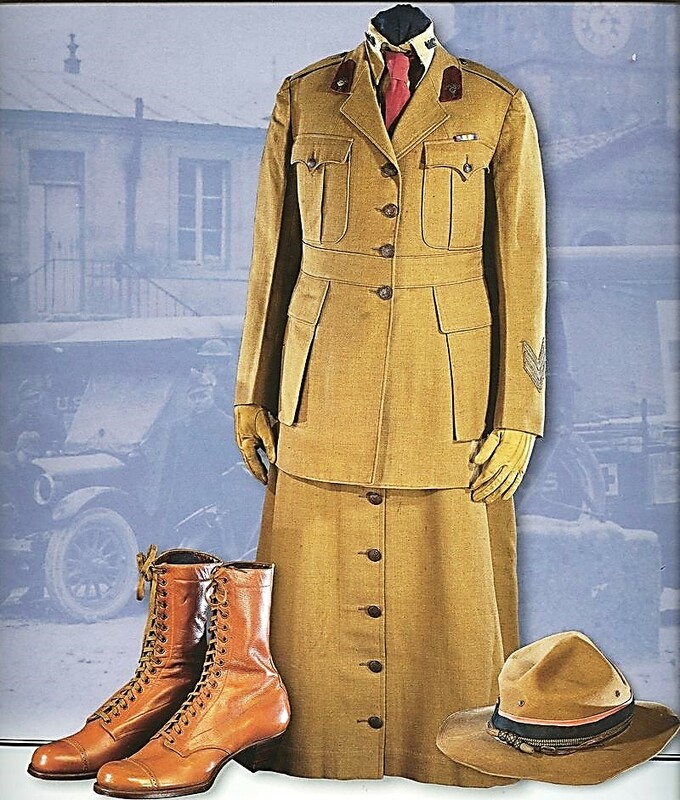 ‘Fashion for the Few’, in Great War Fashion: Tales from the History Wardrobe (London; The History Press, 2013) pp. 33-51. Why do we remember the poets and not the composers of WW1? Women in World War One propaganda at the British Library. Daughters of decadence: the New Woman in the Victorian fin-de-siecle at The British Library.